This month, a handful of student protesters at the University of Oregon blocked me from delivering my state-of-the-university speech, one of my jobs as president. I had planned to announce a $50 million gift that would fund several new programs. I ended up posting a recorded version of the speech online. 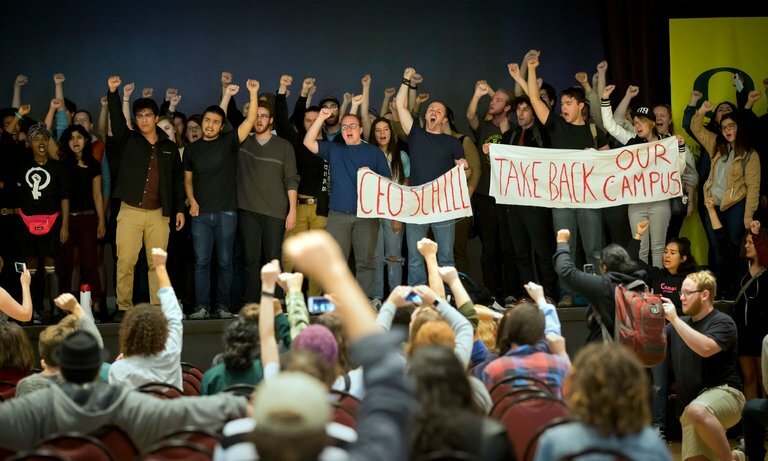 Armed with a megaphone and raised fists, the protesters shouted about the university’s rising tuition, a perceived corporatization of public higher education and my support for free speech on campus — a stance they said perpetuated “fascism and white supremacy.” I have nothing against protest. It is a time-honored form of communicating dissent. Often, the concerns students express very much deserve to be addressed. But the tactic of silencing, which has been deployed repeatedly at universities around the country, only hurts these activists’ cause. 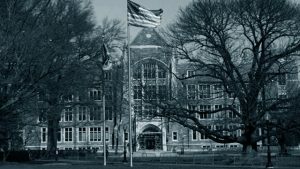 Rather than helping people who feel they have little power or voice, students who squelch speech alienate those who are most likely to be sympathetic to their message. It is also ironic that they would associate fascism with the university during a protest in which they limit discourse.